You may be perfect for the job, but if your CV has just one typo, if it's formatted poorly, or you use the wrong font, it could easily end up in the "no" pile. Here are some of the mistakes that most people do. 1. Sloppiness: Proof-read the hell out of your CV, grammatical errors, and formatting errors are not excusable. 2. Genericity: If you're applying for a software engineer's job, talk about experiences and skills part of that job profile. Talking about knowing Adobe Photoshop would look like you wrote it just to fill up that space. 3. 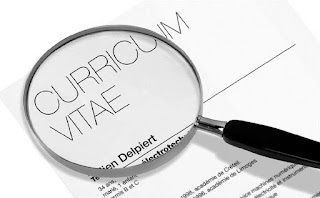 Too much or too little white space: Space out your CV well. Don't crowd it too much with unnecessary information. And neither should it look like you don't have much to say about yourself. Keep the information short and crisp and tweak it according to what the employer is looking for. 4. An Objective: If you applied, it's already obvious you want the job. The exception: If you're in a unique situation, such as changing industries completely, it may be useful to include a brief summary. 5. Not Categorized well: If you have internships and experience to show that you're fit for the job, add them before education. It's a fact that your degrees won't get you the job, some sort of push and work ex just might. 6. A novel: People who review CVs have piles and piles of them to check. Please don't get into detailed descriptions of awards you won in college. A CV should ideally be just one page, and if you are truly a genius, then let it spill over onto the second page. No one wants to read pages and pages of your academic history.